I fell in love with Brockenhurst College on my first visit. It was warm and welcoming with a great breadth of courses on offer. It felt more mature and relaxed than my old school’s sixth form and other colleges I’d visited. I could tell the staff were passionate about their work and the positive vibe around the beautiful campus really inspired me. Plus, I made some great friends at Brock who I still see now. I particularly liked how we were encouraged to join in discussions and debates in class. I think it’s really important to be able to challenge ideas, as well as explore different views and ways of thinking. Having the ability and confidence to do these things not only helped me in my studies but help in my job today. While at Brock I also joined the American Football team and continued playing the sport at University. I was even picked to play for Team England under 19s. All of the above challenged me in the best possible ways, and I learned a number of professional skills that I continue to use. Studying at Brock really inspired me to follow my dreams and I went onto University where I studied media. Right now I’m a broadcast journalist with BBC Radio Solent. 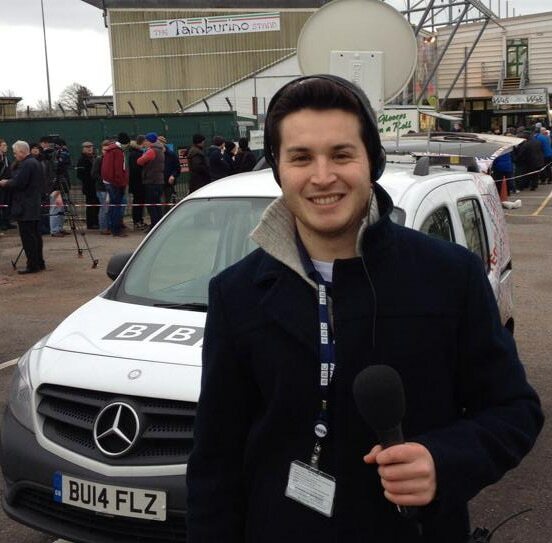 I’ve previously worked with the BBC World Service, BBC Somerset, Sky News, Channel Five News and in commercial radio. I’m one of two producers on our breakfast show and help set the agenda and talking points to make up our speech based programme which runs from Monday to Friday. I also work as a reporter, which requires me to deliver news stories live on location and conduct interviews with guests.